FXPRIMUS' Marshall Gittler in Spanish, Thai, Indonesian, Malay, and Chinese on Insight by WFX! 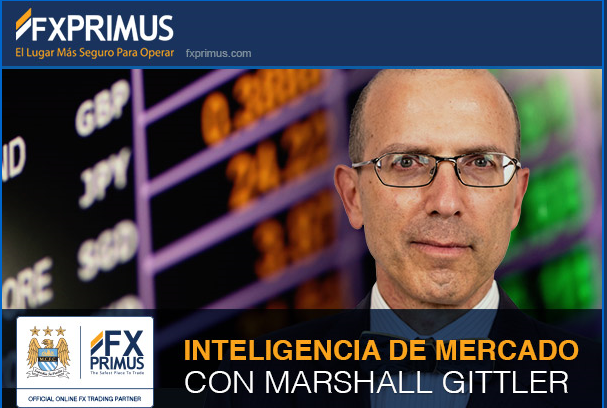 We are very happy to announce that as from this week we'll be posting some of the best and most thorough market analysis you can find out there: Marshall Gittler's market Insights, powered by our good clients FXPRIMUS. American economist and forex guru Marshall Gittler, Head of Investment Research at FXPRIMUS, joined the group back in November 2015. He is a high-profile strategist and investment specialist, with many years of experience in leading banks and investment firms, Marshall's job at FXPRIMUS is crucial to traders investing with this Cyprus-based broker, and no doubt they are getting some of the best stuff in the industry. Marshall produces daily market insights and videos with the most updated fundamental and technical analysis. Wordwide FX Financial Translations translates these reports on a daily basis into five languages, namely Thai, Indonesian, Malay, Spanish, and Chinese, as a service of FXPRIMUS to their clients, and now we're glad to share them here on our blog Insight by WFX. We are proud to work with Marshall and the incredible FXPRIMUS team on a daily basis.